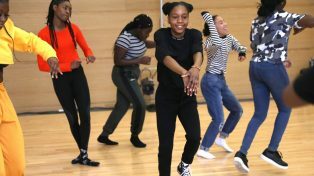 In partnership with HeadStart Newham, East London Dance is offering free dance activities to allow you to express yourself, build your confidence and discover your inner dancer. 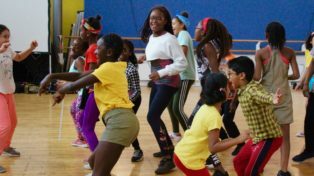 On The Move are fun weekly term-time dance classes for 10-14-year-olds from Newham. Learn routines, make friends and perfect your moves. Dance with us and feel like the best possible you! Open to all levels and free of charge. Sign up online below. The classes combines street dance, physical theatre and contemporary styles and is taught by Nikki Watson. Prizes will be awarded to young people who attend 6 or more sessions. 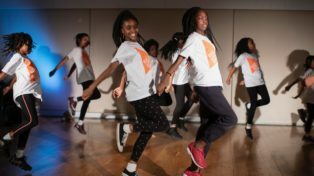 We also have free dance classes for 10-14 & 13-16-year-olds at Stratford Circus Arts Centre and for 10-14-year-olds at Asta Community Hub featuring a range of dance styles including Bollywood, contemporary and street dance.